Can be used to refill the Dab-O-Matic Dab On. 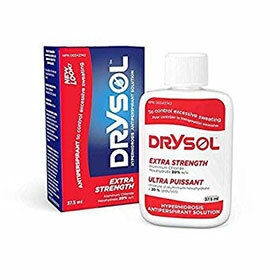 Drysol Extra Strength Solution is an antiperspirant used to treat excess perspiration problems. This works in the toughest cases. No prescription is required for this product in Canada! The active ingredient in Drysol is aluminum chloride hexahydrate.